Martin Scorsese started filming The Wolf of Wall Street a few weeks ago. The film is fertile territory for Scorsese- a biopic about a criminal, starring Leonardo DiCaprio. There’s no official word yet on who will play the madonna/whore but Margot Robbie would seem to be the choice, as Belfort’s wife. Even though the film won’t be released until some time in 2013 (at the earliest), it’s never too early to start deciphering the subject matter. Who is Jordan Belfort and why is Martin Scorsese making a movie about him? Let’s start with the obvious. 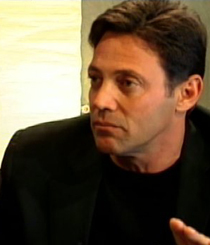 Jordan Belfort is a white collar criminal who manipulated stocks in the late 1980s and 1990s. He owned a brokerage named Stratton Oakmont, which was a boiler room that artificially inflated the prices on stock that his company owned, then dumped the stock at a significant profit. CNBC author Jane Wells describes Stratton Oakmont as functioning “like a cult”. He was a multi-millionaire in his mid-20s. In 1993 at the age of 31, the Securities and Exchange Commission (SEC) charged him with defrauding investors. Still, he plugged on. By the time he was convicted in 1999, he had racked up $200 million in investor fraud. He turned evidence against his colleagues, spent 22 months in jail (in a four year sentence), and was ordered to pay back $110 million of the money. In short, he was a con artist who stole outrageous sums of money and wound up getting caught. But that’s just half of the story. He says he flew his own helicopter while high, sank his 167-foot yacht (once owned by Coco Chanel) in the Mediterranean while high, drove with his 3-year-old daughter unbuckled beside him though a garage door while high. Belfort says at the height of his drug problem, he was taking 22 different medications: 20 quaaludes a day, balanced out by cocaine, the morphine, xanax, valium, etc. Then there’s this gem, from the London Telegraph: “He organised a midget-throwing contest to entertain brokers on his trading floor.” The article goes on to cite that Belfort once passed out on a pillow-sized pile of cocaine, and used his wife’s kindly aunt to smuggle money out of the country. It’s a classic story of Wall Street wealth and ego. 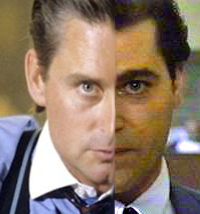 If it sounds a lot like Gordon Gekko, that’s because Belfort idolized Gekko. But it also sounds a lot like a certain Scorsese protagonist. There’s a sudden rise to power, a complete and utter disregard for the law, a life of excess, a galaxy of criminals who help him execute his illegal activities, gobs of money and drugs, and a protagonist who ultimately turns evidence to soften legal ramifications. The actions in the film took place approximately 15 to 20 years ago. In other words, Jordan Belfort is Henry Hill 2.0. I don’t mean to make presumptions about Scorsese’s film when it only just started filming, but Hill and Belfort’s stories are eerily similar. It’s hard not to imagine that this will be at least mildly similar to Goodfellas, which was made approximately 15 to 20 years after Hill’s follies. I have no clue if this is a good or bad thing. In someone else’s hands, I would have lowered expectations. 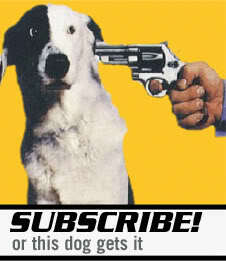 But the prospect of Scorsese revisiting the Goodfellas storyline in a newer, timelier landscape sounds awfully cool. Needless to say, I’m excited for this project. Excited for this one myself John. It’s sounding good. It’s weird to be thinking about 2013 movies when there’s still a ton of awesome 2012 stuff yet to come out, but here we are. I’ll always get stoked for Scorsese. Always. It’s Scorcese, so I’m sure it will be good and I’ll definitely see it, but I feel like I’ve seen this story a dozen times already. I always want the great directors to be doing something completely original. I’ll cop to waiving originality in gauging certain guys- Scorsese, Wes Anderson, the Coens, Tarantino… They have their tropes and I should hope for something new, but I like it so much that I let it slide. I always thought of it this way- why prove that you can bunt for a base hit when you can hit a homerun every time? This guy sounds absolutely vile. Therefore the film will probably be absolutely awesome! Can’t wait, let’s hope this Goodfellas comparisons are right on the money! Scorsese does so well with vile characters.